There are many various types of traffic data and information about traffic behavior which can be collected in the streets or from the roadways. This data provide precious insights to traffic engineers on road usage, traffic patterns or safety. Traditional data collection methods like human surveyors or pressure hoses give very limited set of this data in contrast to video analytic solutions. This article provides the overview of the traffic data that are collected and provided by GoodVision Video Insights product at my.goodvisionlive.com. 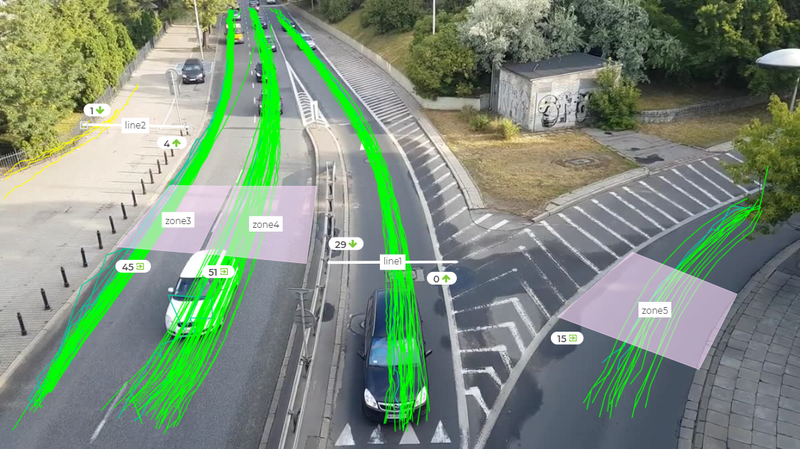 GoodVision Video Insights (GVVI) is a software tool providing fully automated traffic data collection from video recordings. It also provides powerful analytical features for deep traffic analysis and reporting all in a single tool accessible to anyone. It operates online on a pay-as-you-go basis and works with your existing cameras. 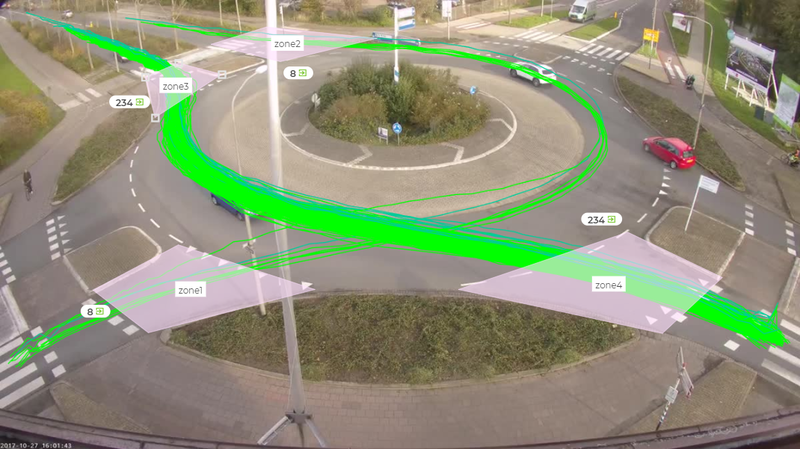 You can draw virtual lines or virtual zones directly on the screen and focus on traffic counting in these areas. How many cars are driving the highway? Draw the virtual spots on the desired lanes and count them. The counting works on unlimited number of road lanes, if visible. Virtual lines provide bi-directional counts, virtual zones are more versatile for vehicle traffic. 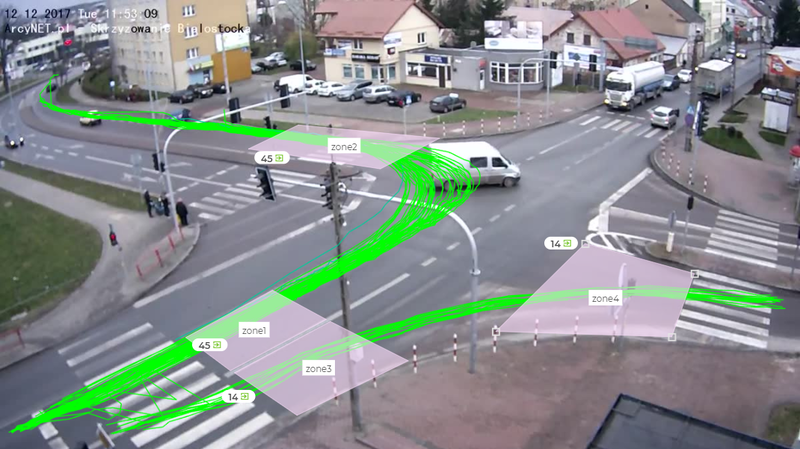 Sometimes called intersection counts are one of the most sought traffic data type for traffic modelling, to determine the intersection capacity or to analyze signal timing. You can isolate any traffic turning movement (e.g. left, right turns, or through)on the intersection by connecting virtual zones (and lines) together. These movements can be exported as an OD matrix. 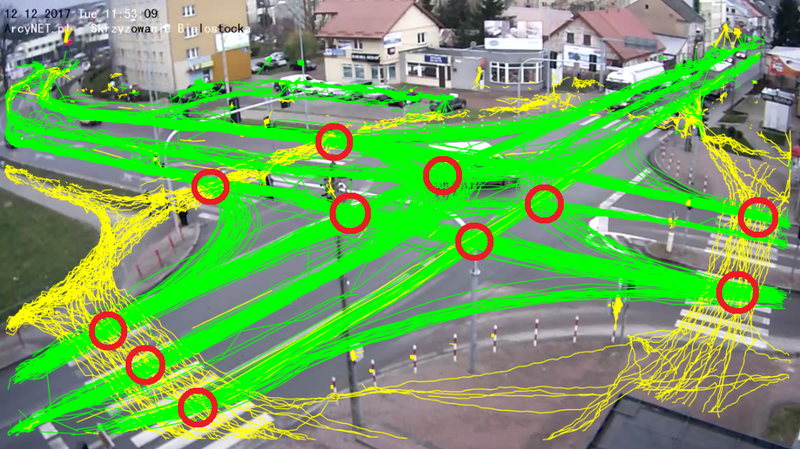 By combining more virtual areas into complex filters, all traffic movements on the intersection can be covered. Similarly you can monitor any specific traffic movement on the roundabouts. In a roundabout count, entering and circulating vehicles are tracked to their exit point. 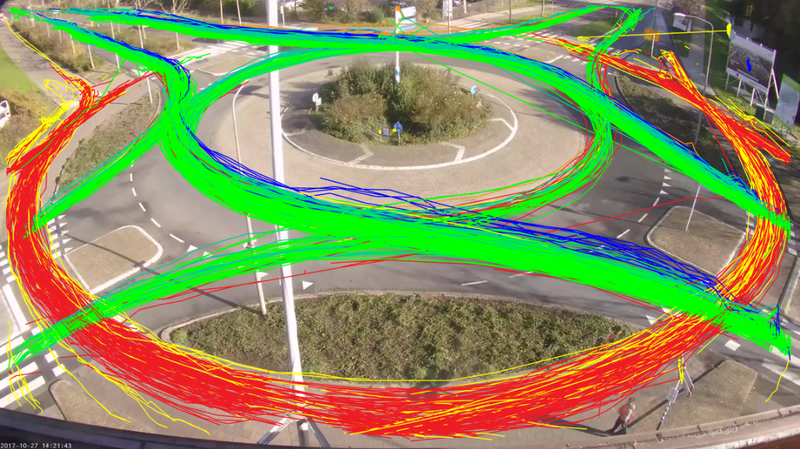 Since roundabouts are not signalized, the traffic flow is less predictable and capturing those movements accurately with traditional methods is very challenging. With GoodVision it is simple as any other counts. Traffic movements on roundabouts work in the similar way as on intersections. Similarly as TMCs or roundabout counts, any custom defined traffic movement can be isolated in GoodVision and reported the same way as TMC counts. 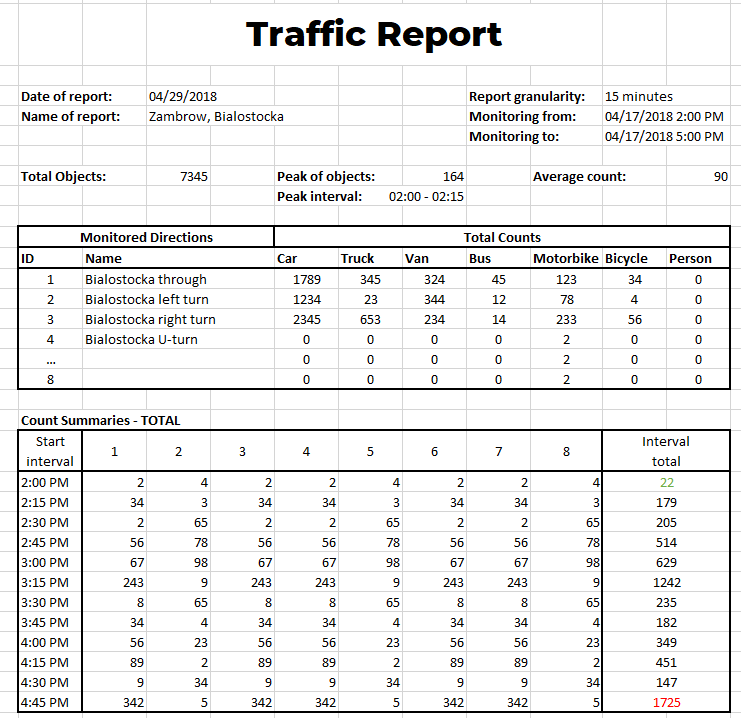 Each traffic count provided by GoodVision is composed of counts for each vehicle class separately. We recognize 8 classes of objects: car (taxi), van (ogv1), truck (ogv2 + heavy), bus, motorcycle, bicycle, pedestrian, animal. All counts in GoodVision are by vehicle class. Non-motorized modes of traffic are traditionally surveyed using the same types of sensors used for motorized vehicles which provides unpleasant results. These types of projects are most commonly provided to help cities understand the current state of facility usage, to help prioritize locations in which to implement pedestrian- and bike-related facilities, and to evaluate the effects of projects, such as bike lanes. 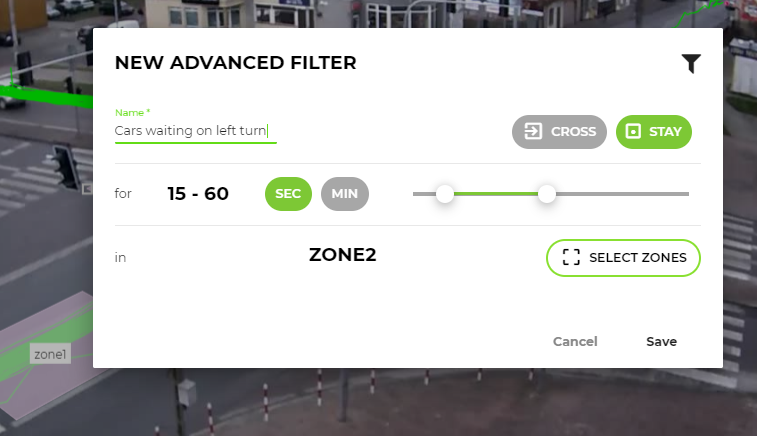 GoodVision recognizes and collects pedestrians and bicycles from the video automatically from roads, crosswalks, bicycle paths — from anywhere on the scene. Pedestrians or bicycles are detected by GoodVision anywhere on the scene. GVVI visualizes exact object routes in the video, from entering the scene, to the time they left it. Exact trajectories help you to accurately position your counting spots and give you exact overview of the traffic behavior on the scene. Displaying the trajectories is the good way to start your analysis and get the overall picture. GVVI visualizes exact traffic object positions and the density of movement using position maps. GVVI allows you to isolate just the traffic which has spent a certain period of time within the specific area. This helps to count delayed vehicles, e.g. just the vehicles involved in the traffic jam. GVVI calculates exact transit time of vehicles trespassing a specific virtual area or the time of transit from origin to destination. Knowing the time-distance between individual vehicles helps to analyze traffic behavior, creation of traffic jams and to solve many traffic safety issues. GVVI provides time distance calculation as a standard output for any traffic movement on the scene. These are the places on intersection of various types where different traffic flows are crossing each other simultaneously which leads to increased accident risk. GVVI provides and visualizes real collision points in contrast to those calculated using traditional methodologies. Knowing the total traffic count, average count per interval and peak hours of heaviest traffic is a must. GVVI reports these data on every reports screen for all traffic movements. There are several available bar/area/heat-map diagrams available to display various aspects of traffic volume distribution i time by given filters — e.g. traffic in specific direction. These diagrams helps you to identify traffic flow time patterns, traffic variety in time, traffic jamming or deaf time spots. GVVI allows to adjust the time granularity (reported interval) from 1 sec to 24 hours and more. 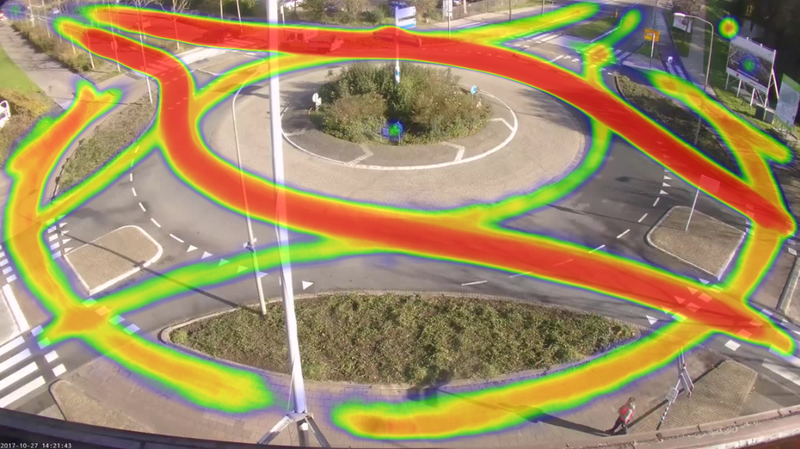 GVVI visualizes the frequency of traffic movement in the video. Hotter areas indicate higher traffic volume while cold areas indicate lower or no traffic. 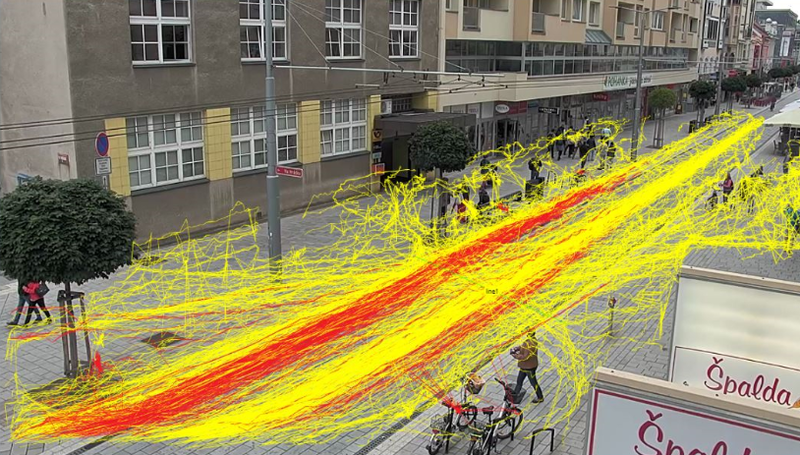 GVVI visualizes the relative speed of traffic in the video. Hotter areas indicate decelerating traffic while cold areas indicate accelerating traffic. This report is useful to indicate potentially unsafe areas or areas with huge traffic delays. GVVI visualizes the average delay of the traffic within various sectors of the scene. While speed heat-maps inform you about delaying/decelerating traffic, hold-up heat-map informs about exact traffic delay/waiting time in the area. 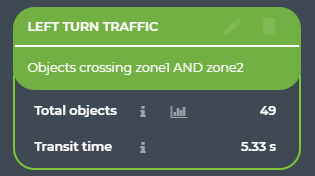 All designed traffic movements on your video scene can be exported into Excel report using your desired time interval granularity, object classes, etc.